The first full recruiting cycle for a new head coach usually equals success. Hope sells. Tom Herman’s first recruiting cycle at Texas was 2017, but he took the job only months before national signing day. The 2018 class was the chance for Herman to build his foundation. He capitalized with the third-ranked class in the nation, signing the top five players on the Fabulous 55. Texas A&M is experiencing the same bump in the 2019 class. Jimbo Fisher technically recruited the 2018 class, but this is his first real cycle at A&M. The Aggies are riding the wave, currently holding the No. 2-ranked class in the country. The class consists of 21 commitments, including 10 off the 2019 Fabulous 55. Elliott, who also runs the Florida State site for SB Nation, knows Fisher well and watched him recruit in Florida for years. Texas isn’t enjoying the same success inside the state as it did last cycle. Some of that is because of Fisher and the continued success of Oklahoma. The Sooners hold commitments from 11 members of the Fabulous 55, which leads the country. Texas holds five. That doesn’t mean the Longhorns are struggling to recruit. 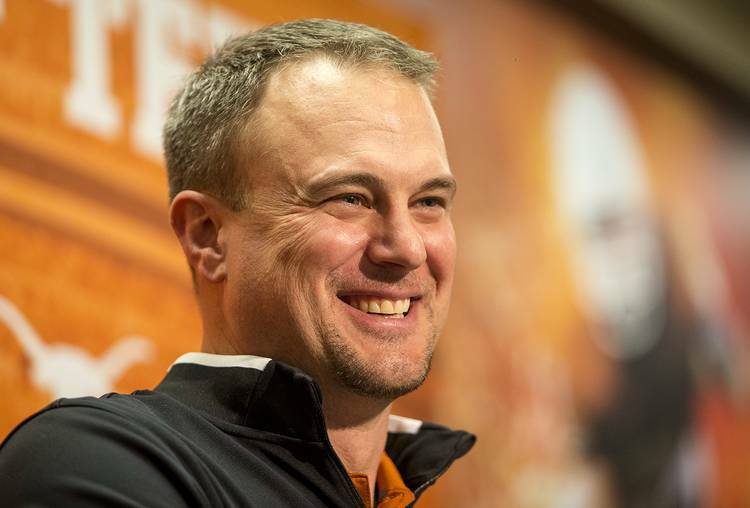 Texas gained its 12th and 13th commitment of the cycle this past weekend. Six of those players are from out of state. The only two Texas commits invited to The Opening Final were from out of state despite the state sending 25 players to the event in Frisco. De’Gabriel Floyd, a four-star linebacker from Westlake Village, Calif. impressed at the event. Kenyatta Watson II, a four-star safety from Grayson, Ga. is recovering from a shoulder injury and couldn’t compete. Floyd used to be more of an athletic space linebacker, noted Barton Simmons, the director of scouting for 247Sports. But he’s growing into a potential middle linebacker, he said. Watson caught Elliott’s eye at a national camp before the injury. Garrett Wilson, a five-star wide receiver from Lake Travis, is the No. 1 player on the summer update of the Fabulous 55. It’ll be updated again after football season. There are plenty of prospects in the running for the final distinction of top player in Texas, and even national experts can’t agree on the best player.